A half bottle of poitin, an Irish spirit made only with native barley, sugar beet and water. 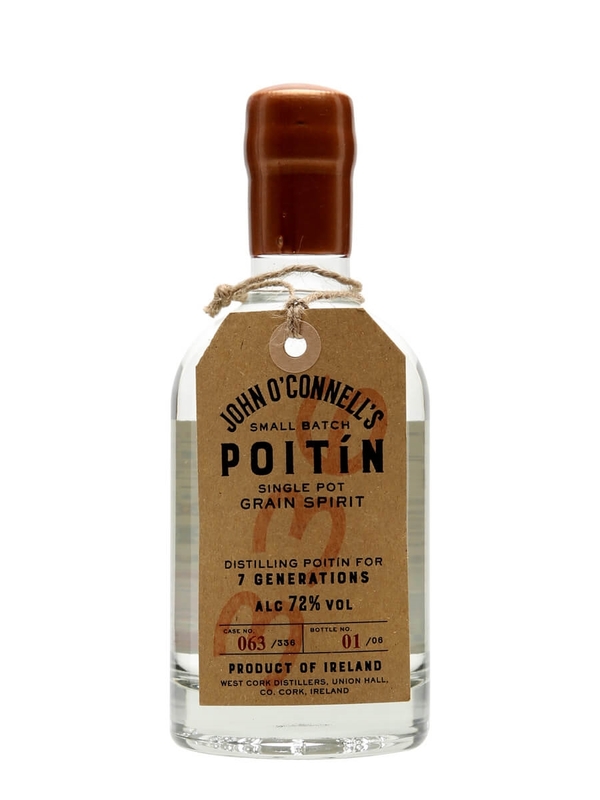 Named after West Cork Distillery owner John O'Connell, whose family have been distilling poitin for seven generations, some of which would have been illegally when the spirit was banned. Pleased with my purchase, I will be grabbing extras for gifts.